Today Eric’s Grandma Lorriane went back to Great Falls. I am afraid we may have worn her out on her first taste of “Grandma Duty”. Tonight Eric and I had some alone time. It is the first night I have visited him without Dad or Grandma around. I had to be disciplined to get myself to leave his bedside to “pump” and eat dinner at reasonable hour. Grandma has been really good at making sure I remember to feed myself and get some rest. Eric is tolerating a little more of milk now, 4 cc’s every 3 hours, which is the equivalent to 4 millileters or almost a teaspoon. This little bit of milk in his tummy his helping is digestive system develop. He also got started on some antibiotics today to cover a possible infection in his breathing tube. 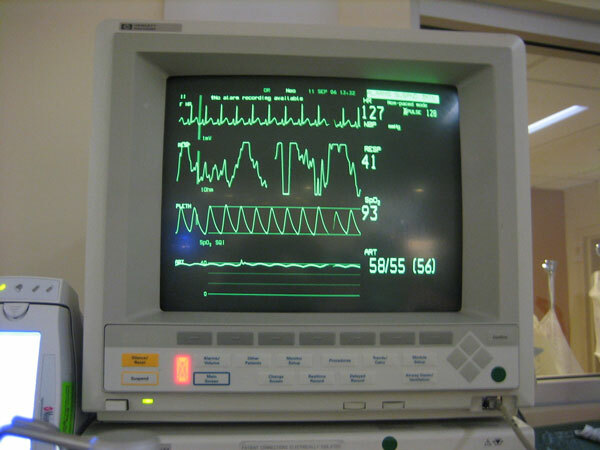 They did a chest xray today and don’t suspect a lung infection at this point. Tonight as I was getting ready to tuck Eric in and say good night he opened his eyes and peaked out at me so of course I had to sit myself back down and talk a while. I talked to him until he appeared to go back to sleep. Sometimes he sleeps all cozied up and other times he kicks his legs out and stretches his arms out over his head just like Aaron does when he lays on the couch watching football. Grandma Lorraine has been here since Sept. 8. Thank the Lord for grandmas. 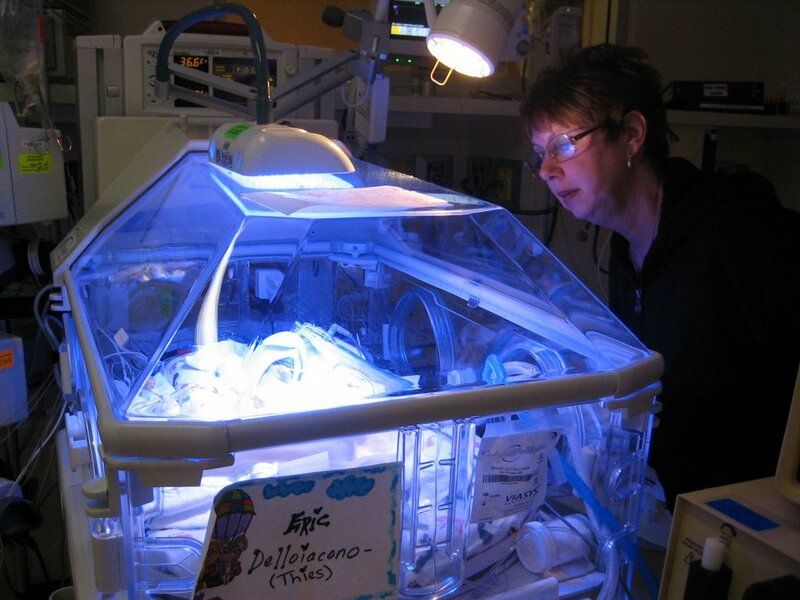 Here’s grandma visiting Eric while he is under the bili light (which helps prevent jaundice). We’ve had lots of great support from family and friends! Thank you all so much. Tara’s bro Sean and his girlfriend Courtney stayed with us and helped up through some tense moments last week. Susie and Sam paid us a visit on Sep. 8. Susie brought to us the wooden toy trains that my dad gave me when I was born. Sam certainly enjoyed playing with the choo-choo or “do-do” as he calls it. 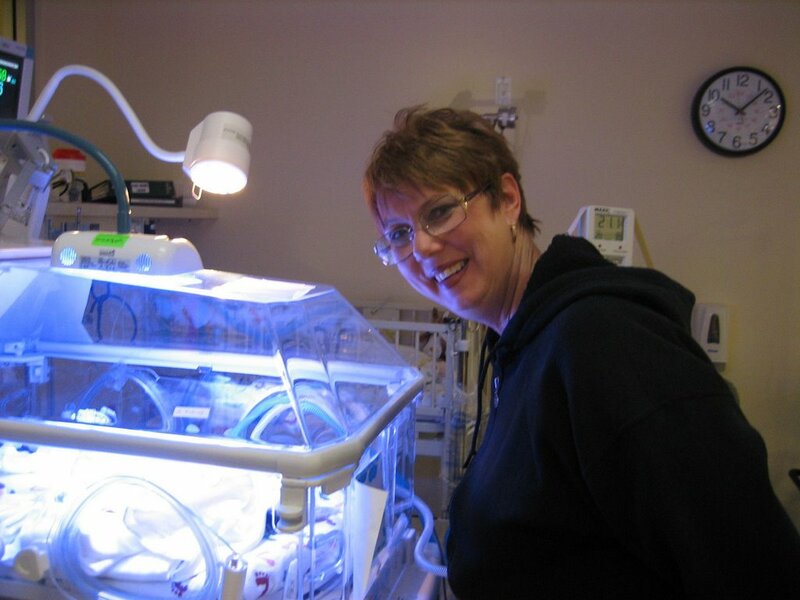 September 11, 2006 Categories Uncategorized2006, CPMC, eric, milk, mommy, mothers day, NICU, pumping1 Comment on Eric is born! At 4:34 p.m. on September 7, 2006, Tara gave birth to our son Eric Thomas DelloIacono Thies at California Pacific Medical Center in San Francisco! 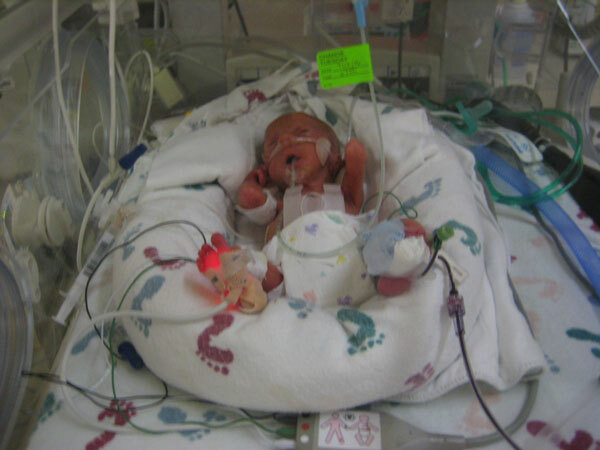 Born only 26 weeks and 2 days into Tara’s pregnancy, Eric is a real preemie but he is healthy and safe in the wonderful care of CPMC’s Newborn ICU. 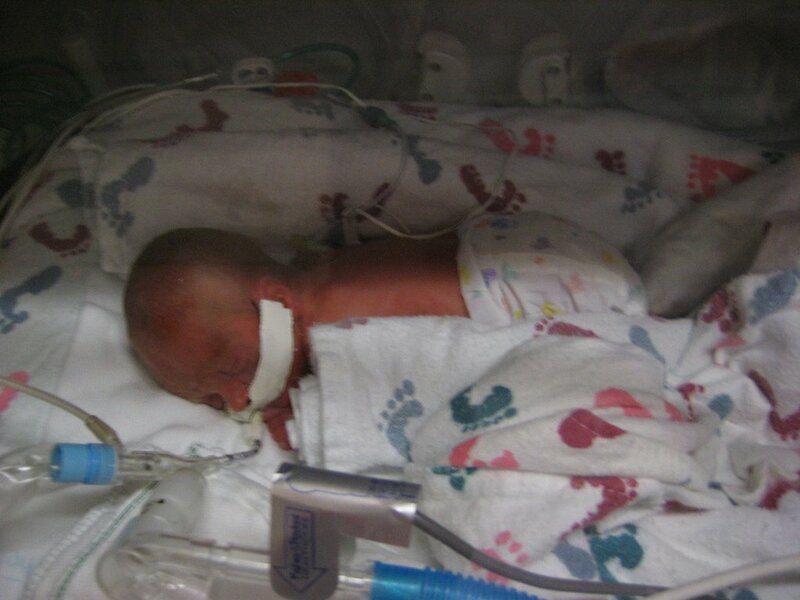 Eric’s birth weight was 1 lb. 15 oz and he is 14 inches long. Mommy is doing well and has already started pumping milk to feed little E. He is so cute and very feisty. 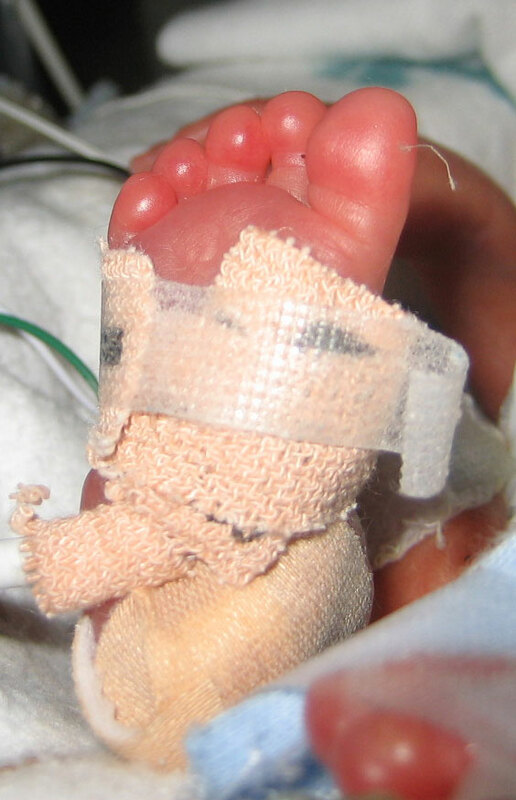 One of the biggest concerns for newborn preemies is their breathing. 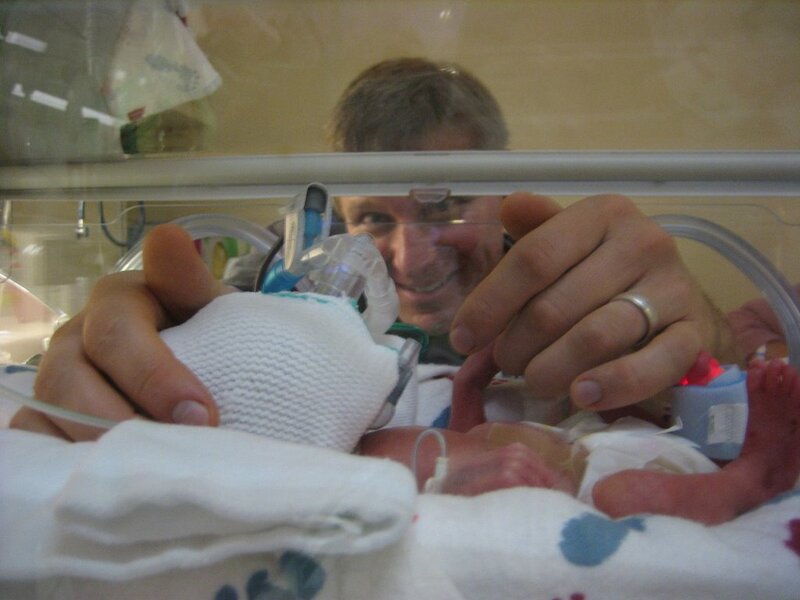 Eric came out crying, which was joy to our ears, and so far he has not once needed to be placed on a ventilator. 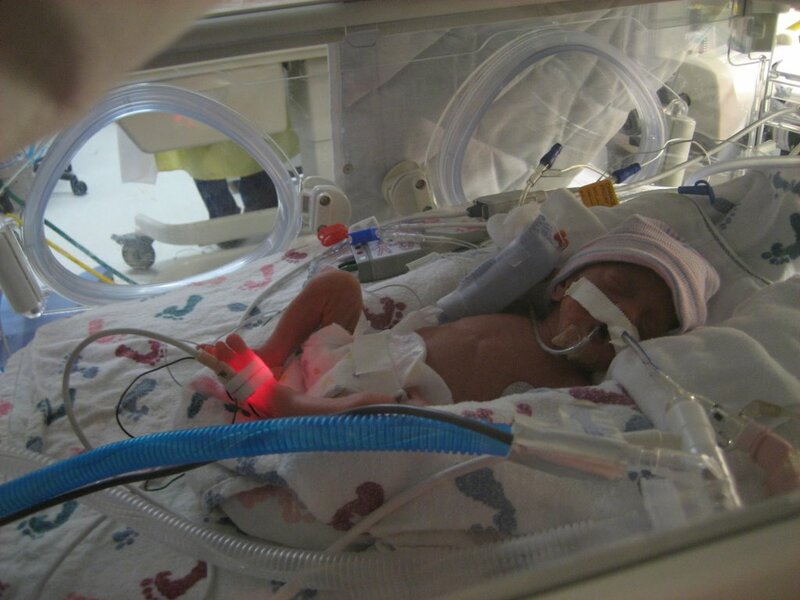 We can visit Eric at any time day or night and if all continues to go well with his development in the NICU, he could be able to come home in December. We love him so much and we thank everyone for all the love and support. 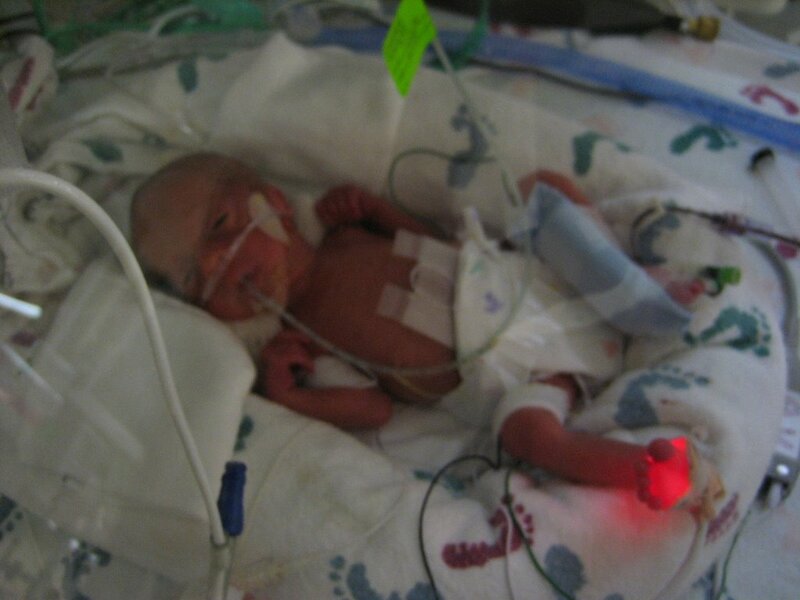 Now that Eric is on the ventilator his breathing is stable and they have begun feeding him Mom’s milk. He gets a very small amount every 3 hours. This is such good news because he can now start “bulking up”.